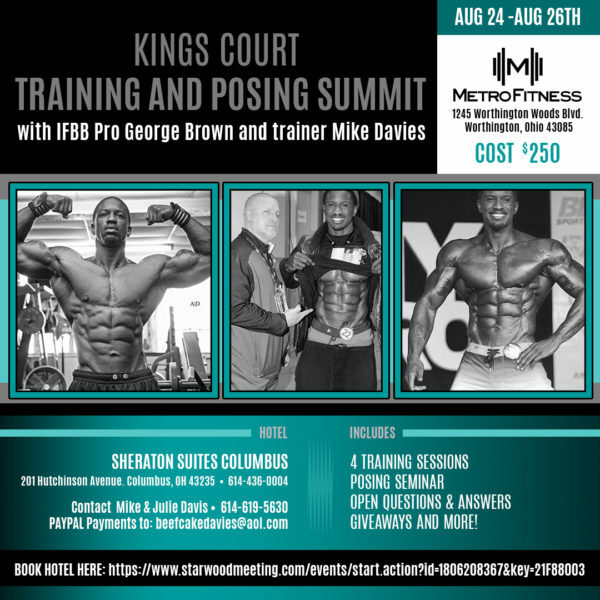 Join Trainer Mike Davies and IFBB Pro George Brown at the Kings Court Training and Posing Summit. 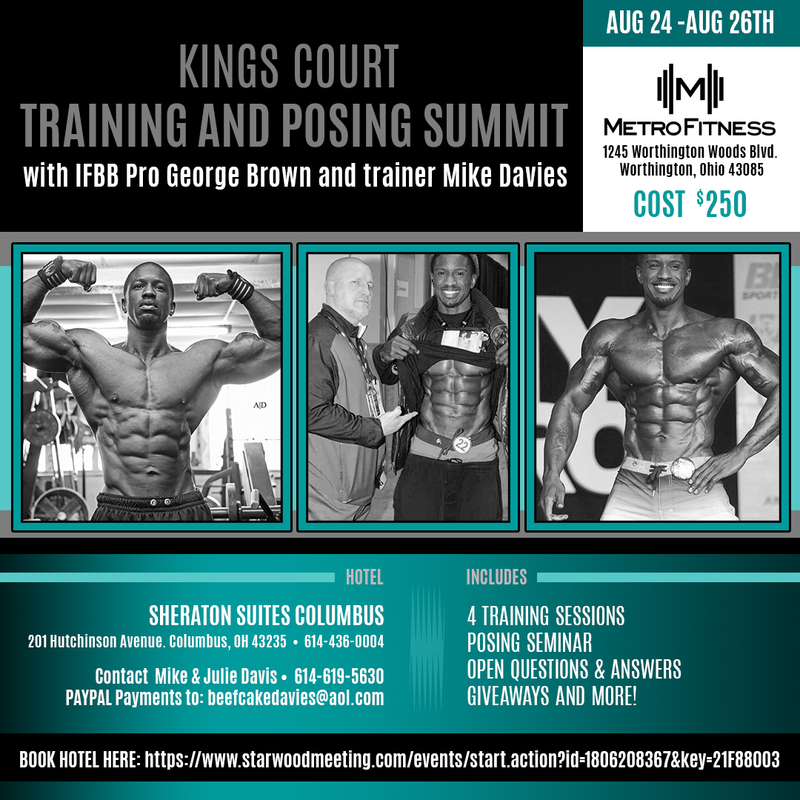 Event will take place August 24-26, 2018 at Metro Fitness, 1245 Worthington Woods Blvd., Worthington, Ohio 43085. 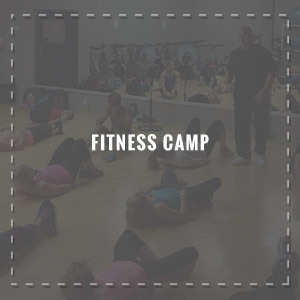 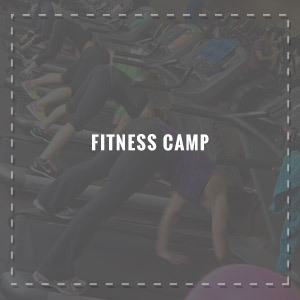 Contact Mike or Julie at beefcakedavies@aol.com for more information or call 614-619-5630.